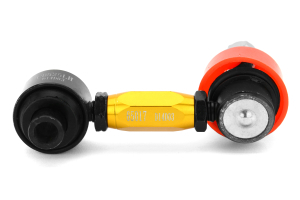 If you're looking for a subtle way of improving your handling without having a large budget, then you will be pleased with the Whiteline Front and Rear End Link Kit. Over time your factory end links can become weak which will produce more body roll and hurt the performance of your vehicle. The Whiteline end links are made from high-grade metals and are perfect for those who enjoy a spirited canyon run or occasional weekend track day. Plus these end links will work with most aftermarket sway bars if you already have performance sway bars or plan on upgrading.